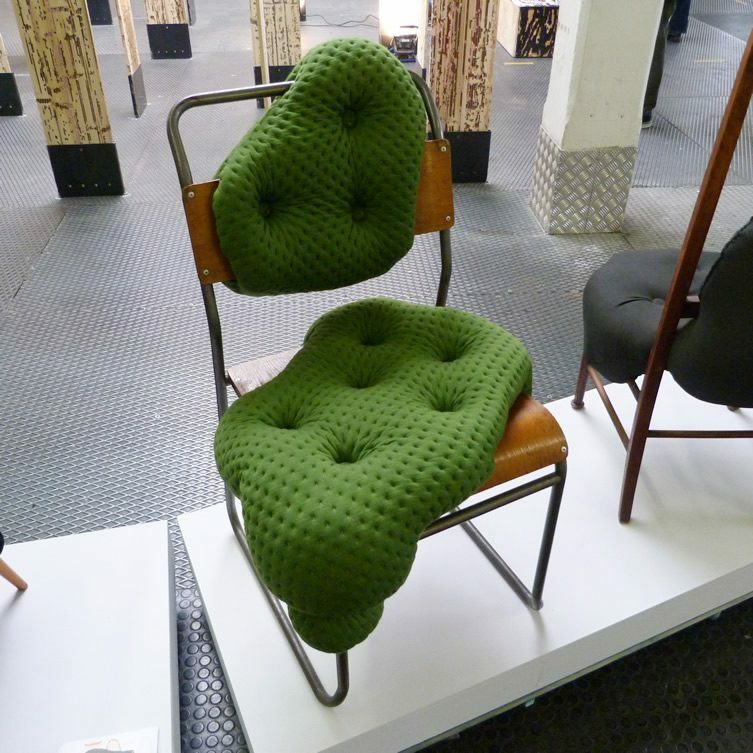 I met Charlotte Kingsnorth presenting a selection of her Hybreed collection at Milan’s Ventura Lambrate; the design district known for the most cutting-edge design. She speaks quietly and intensely in way that draws you in and makes you listen, so by the time she started explaining that she sees personalities within items of furniture, I was transfixed. 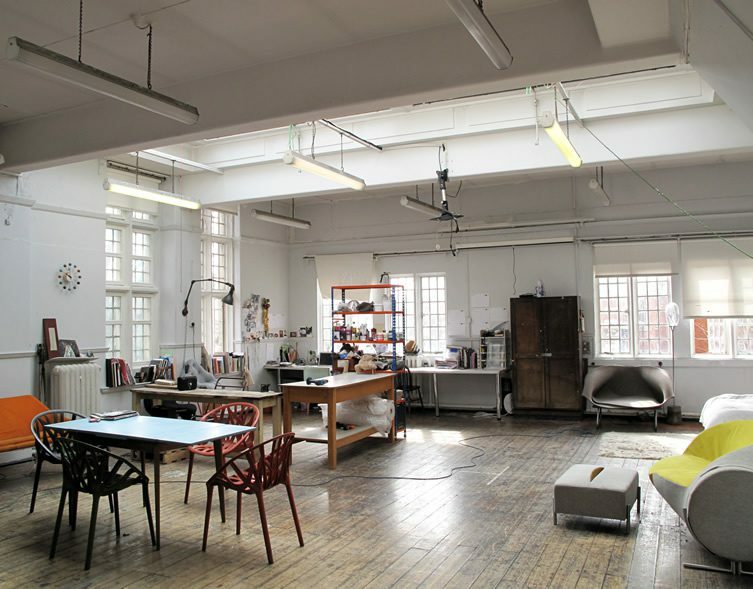 “I see chairs as alive”, she begins “…so I collect furniture frames and take them back to my studio. I sketch the character I see, and then start building and sculpting the upholstery around them… I found these two [see below] together and see them very much as an old married couple – they’re called Mr & Mrs”. Her imagination is essentially unchanged since childhood when she named every tree in her local park, assigning each one a name based on its personality. 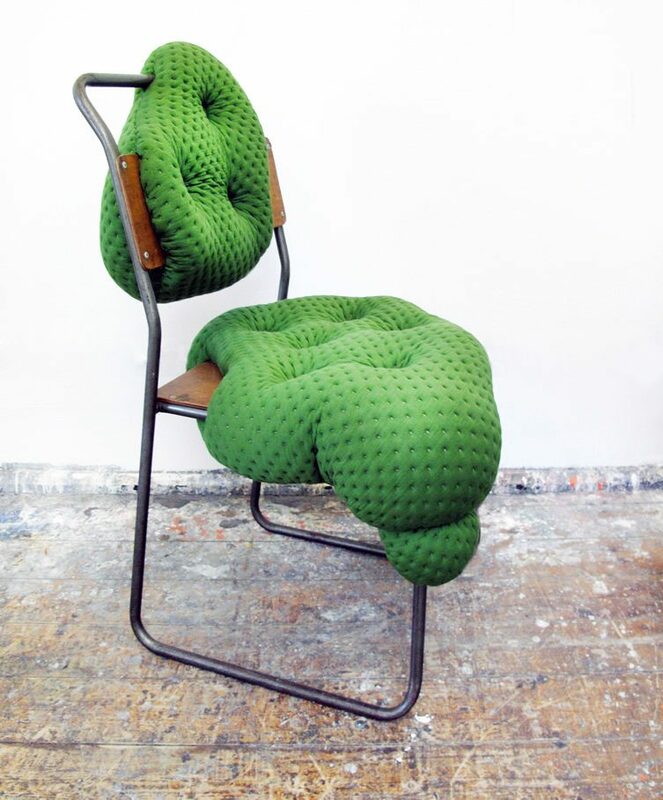 Charlotte was born in London in 1985 and studied Contemporary Furniture and Product Design at Buckinghamshire University, and Design Products at the Royal College of Art under Tord Boontje. 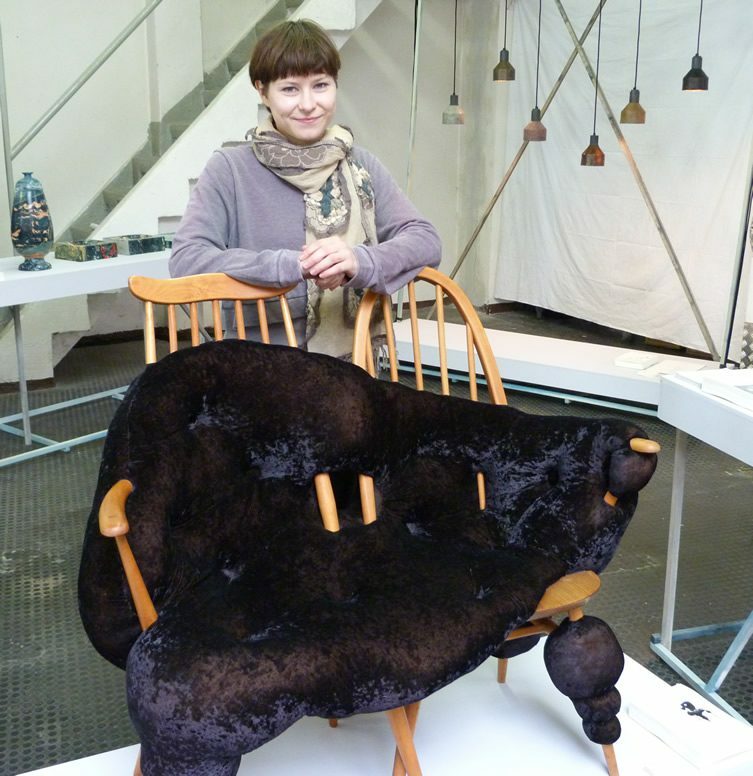 She describes herself an industrial designer with an artist’s vision: “I am inspired by art”, she says. “Artists are free to explore a concept purely for self expression, which allows for a strong, untainted outcome. I am intrigued by artists’ interpretation of things in their chosen medium. 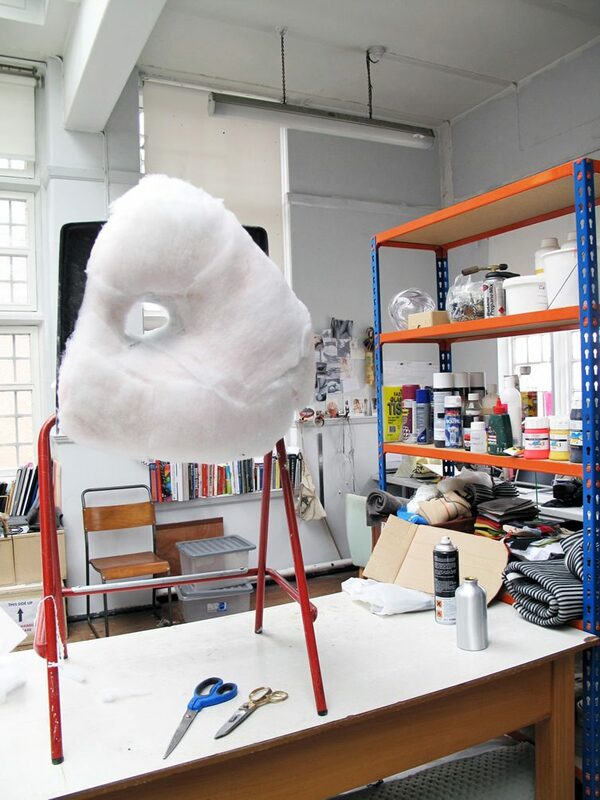 The human form has always been a strong influence with my design work; fleshy, organic, biomorphic forms, but also the interaction between man and object – I am inspired by function, which is what differentiates me from an artist”. 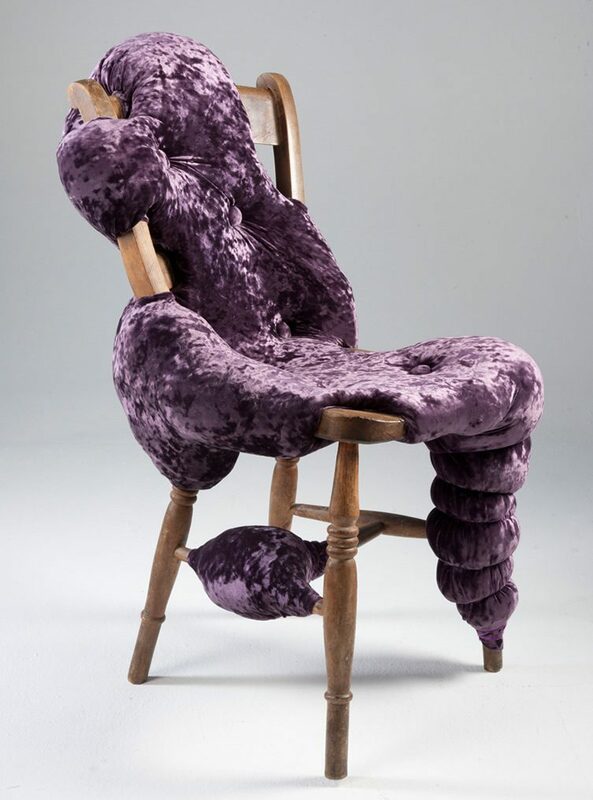 I was intrigued to know whether she sees human characteristics in all chairs, or if certain items just speak to her. 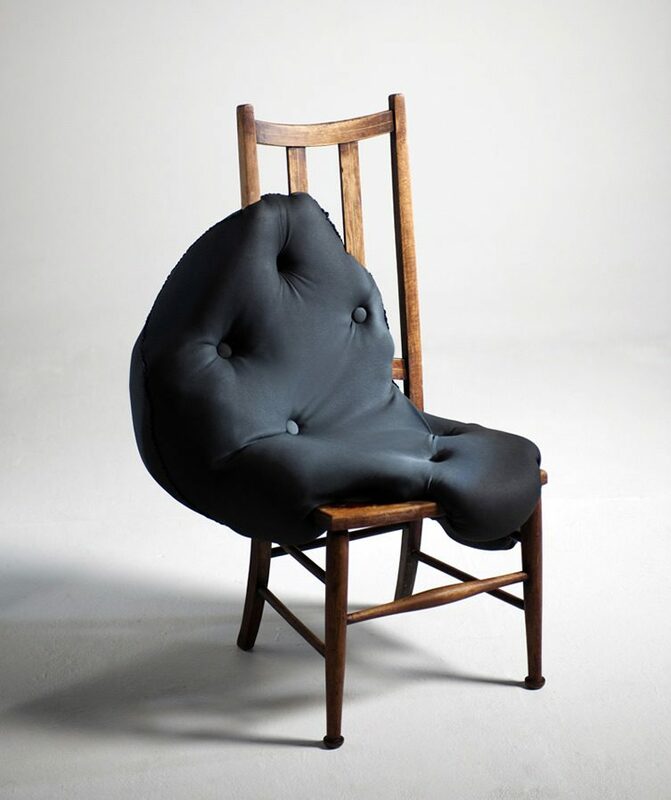 She said: “Not every chair speaks to me… there are special characters. Sometimes I will find beautiful chairs just dumped on the side of the road with a missing spindle or worn upholstery. I can’t resist bringing them back to my studio”. 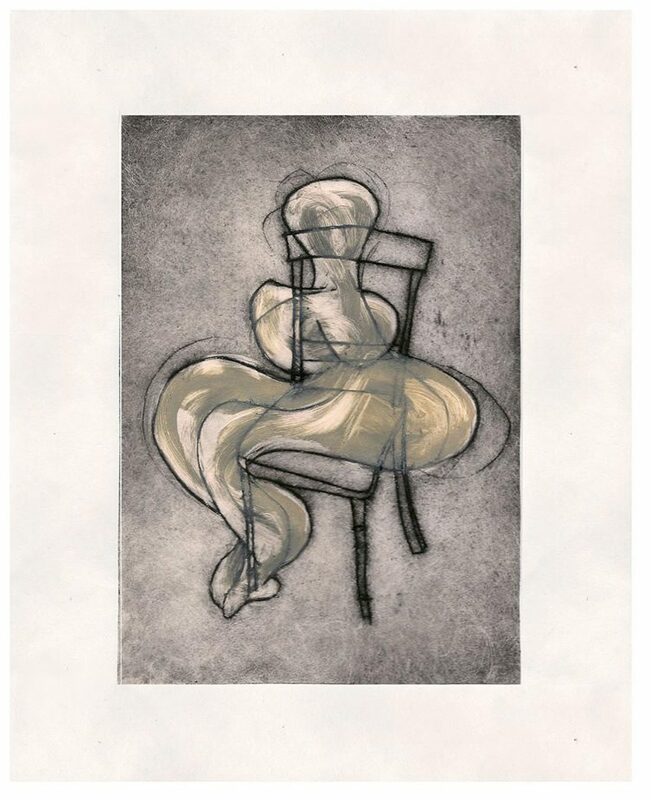 Once she’s adopted a chair, she starts sketching it, “the sketching process is important to me, it allows me to draw out the character of the chair. 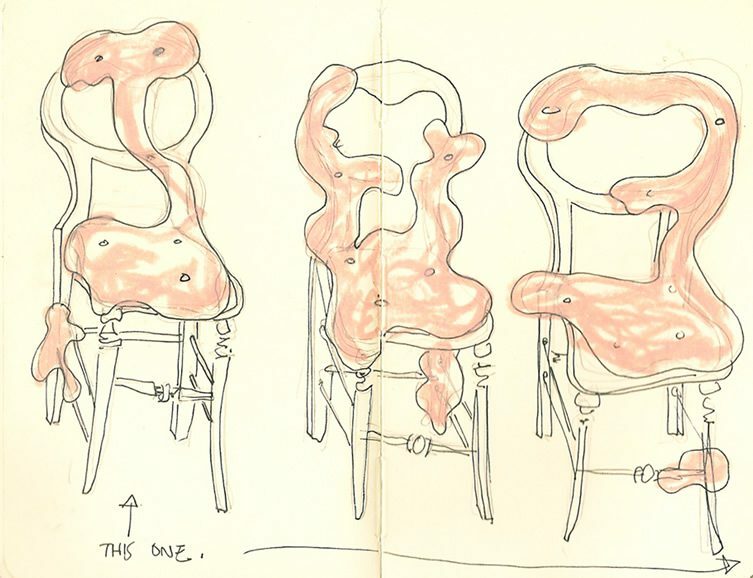 I draw the body of the chair. It’s like I have the skeleton but seek the flesh that envelops it. 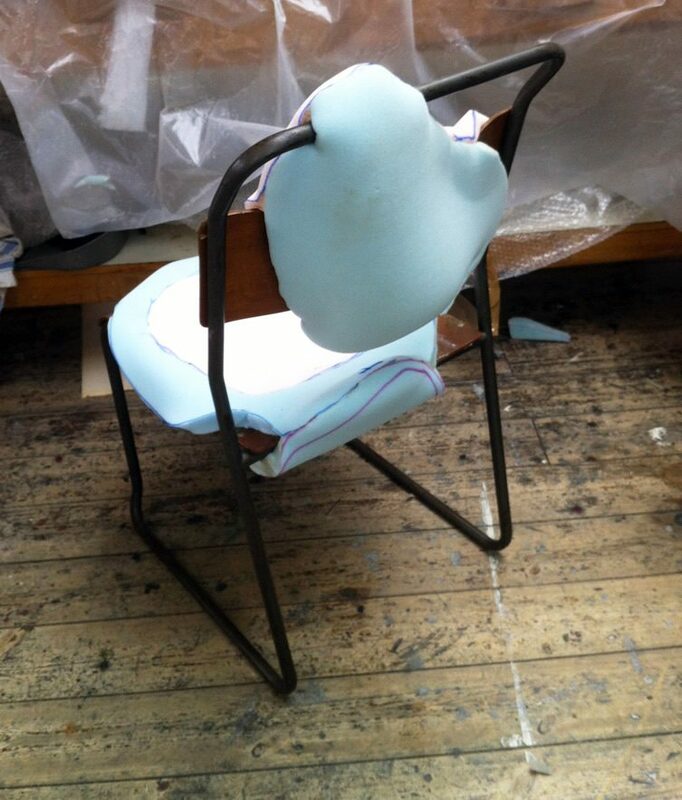 Once I am satisfied with a drawing, I work on building up the body, wrapping foam directly around the chair frame. It is a mix of following the drawing and instinct that directs this part of the process of addition and subtraction until the balance is right. 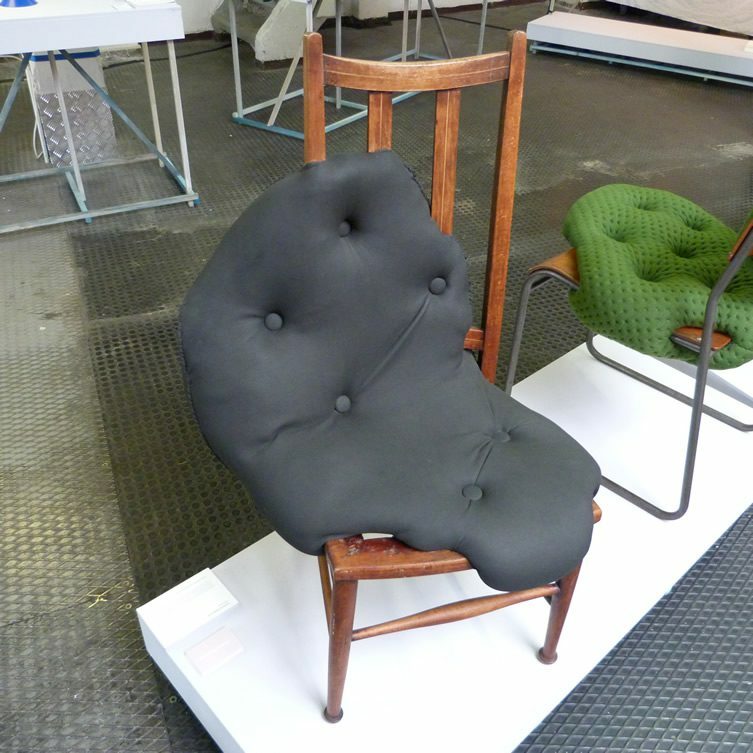 I view the chair from all angles to make sure I am happy with the form. Once satisfied, I move onto trimming the chair. As every chair is different the pattern for each chair is also unique. I often make a pattern from calico before applying it to the chosen fabric. Once the fabric is cut and pinned into place the pieces are hand stitched”. 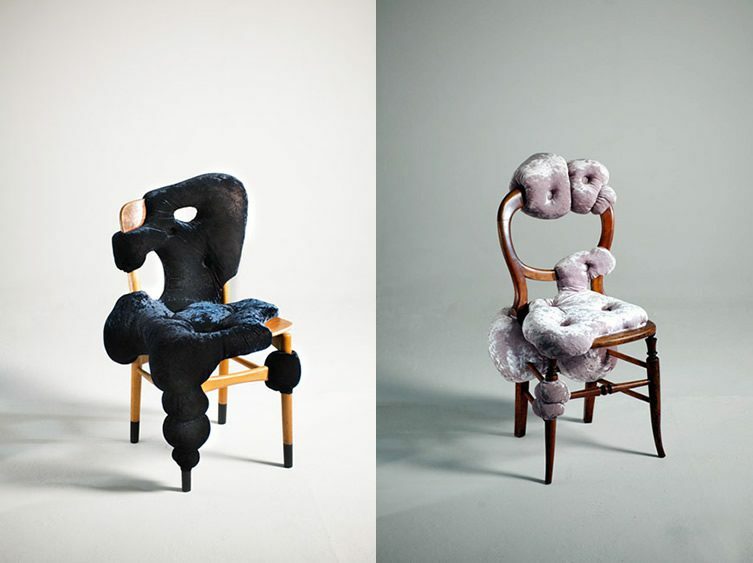 These are not merely sculptural items – every chair is designed to be functional and comfortable. 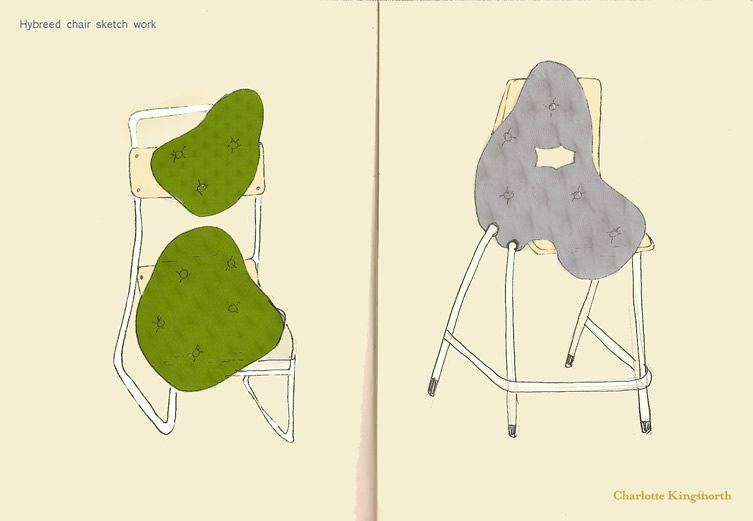 What Charlotte refers to as a “comfort assessment” forms an important part of her design and making process. I think they’re rather special and they’ve certainly made me look at my furniture in a new light.